Would a Harry Potter movie work without Harry Potter? Would the James Bond franchise dare to try a 007 movie without James Bond. No. Which is why it was bold in the extreme to believe the latest Bourne offering could work, given Jason Bourne was nowhere to be found. 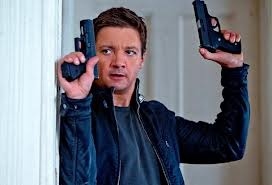 And even though Jeremy Renner does cut it as a fugitive rogue agent, and Rachel Weisz is solid as the saviour scientist, you can’t avoid the elephant in the room. There is no Jason Bourne. The final scene is cliched and more James Bond than Jason Bourne, and the Thai super agent seems an afterthought that falls well short of super. But there’s a delightful little cameo from Australian actor Shane Jacobson, which pushes The Bourne Legacy to 3 stars.